Most of us in the West have been brought up over multiple generations with a particular belief set about health and medicine. So much so that many people struggle with techniques that have not previously been part of 'conventional medicine'. Sadly, often it is only when conventional medicine has failed us that this particular belief set comes into question, and we look for other answers. And yet in the East and in many original cultures, it is widely and culturally accepted that our health and treatments for ailments are typically rooted in ourselves and in nature. The first port of call is natural energy. 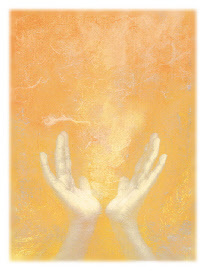 Welcome to one of the most accessible and natural energy systems ... Reiki. both mind and body without drugs or complex treatment regimes. Using the techniques originally developed by Mikao Usui and refined by his successor Chujiro Hayashi, we practice the Jikiden Reiki system. Reiki is a complementary medicine derived from an original Japanese system, designed by the founder for the improvement of mind and body. Jikiden Reiki is probably the purest form of Reiki, and traces its roots directly to the founders without modification by successive Western influences. 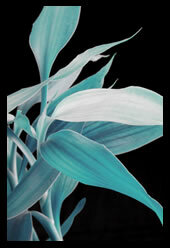 Jikiden Reiki not only relieves pain, it actively helps both the body and the mind to heal themselves, without drugs. If you could use these techniques for your own benefit, or in your family, or with clients, why wouldn't you ? As accredited Shihan teachers and practitioners operating in Hampshire and serving the Solent region and surrounding counties (Berkshire, Surrey, West Sussex, Dorset and Wiltshire), we look forward to helping you enjoy these benefits, through treatments and through courses to learn yourself how to deliver authentic reiki energy. In this day and age, no-one would dare to ignore the 'green' agenda, whether through genuine concern or political correctness. And yet most of us daily ignore the complexity and mystery of the natural world, where life springs eternal. Even when our attention is drawn by programs such as the hit BBC series "Life", most people fail to consider how the miracle of a life-force operates throughout our natural world. Reiki draws on the natural universal energy which drives our planet and its varied life-forms, including .... us! © Copyright 2009-2016 SHINNEN (Tim Considine t/a). All Rights Reserved.